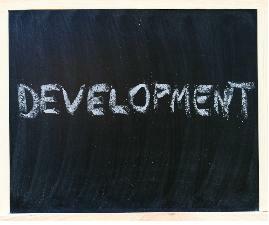 Over the years a stock trader will go through many development stages. What stage are you in? On my journey to becoming a better stock trader, I have gone through a number of stages. Some of these may apply to you and others may not. All stock traders either evolve as traders or generally stop trading. Knowing that you will always be expanding your knowledge as you improve your trading skills may help you continue as a stock trader. If the above quote does not make sense to you, think about it. Once you figure it out, you might make a giant step forward. To give you a hint, if you are not happy now, becoming a trader will not make you happy. 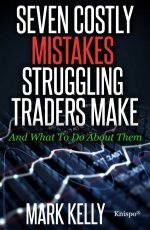 Many people at some point in their trading carrier are looking for a hot stock tip. This is one of the more dangerous development stages and one you need to grow out of quickly if you want to survive in the stock trading game. Using excess technical indicators on your stock market chart in the belief that you should buy the stock only when all of the indicators say buy. This is one of the first things many people do when they purchase stock charting software. There are many different types of stock trading systems available for buying and selling stocks. Generally, these stock trading systems work well for the designer but are they right for you? The buy and hold strategy can be one of the best ways to win in the stock market. Unfortunately, it can also be one of the worst, if you own the wrong stock or emotionally cannot handle short-term losses. This method is generally used by investors, not stock traders. Buying stocks in companies you know can be a good idea but it generally limits the number of stocks you can trade. This method of buying stocks is generally used when you are investing and not stock trading. There is a fine line between stock trading and gambling on a trade. Do you know the difference? Once you begin to understand the stock markets, you should be capable of building a trading system which fits your needs. The above discussion deals with trading systems. However, one of the more important development stages is discipline. Many people forget this area of development. Do not make the same mistake. Provided you are willing to continue your education, you will end up going through many development stages as you continue your journey in stock trading. After reading the above, if you decide that stock trading is not for you, yet you are still interested in pursuing your education, this business school directory contains information on a number of business schools around the world and may be able to help you to take the next step. If you are interested in improving your trading results, take the first step and start to get educated now. Developing the mind set to trade and learning about trading strategies is only a step away. The offers below detail two different ways in which you can develop as a stock trader and put more money in your pocket.